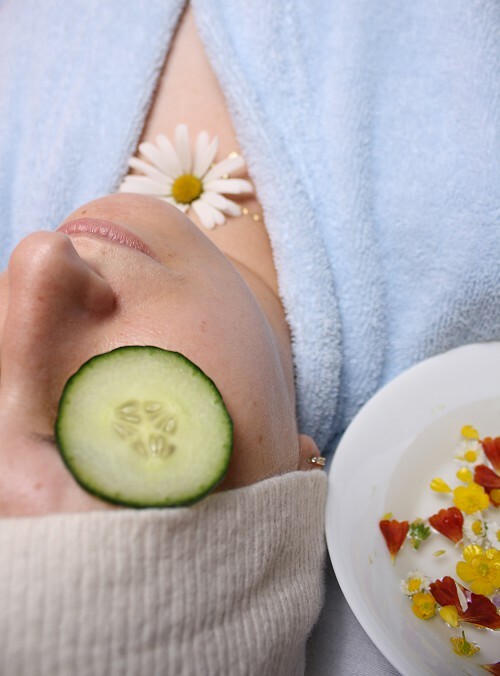 Entourage Salon & Spa offers facial treatment services to exfoliate, detoxify, and moisturize your skin, leaving your face feeling fresh and rejuvenated! Our products are all natural with no added chemicals for a truly organic feel. Take a look at our services and set up an appointment with the facial treatment that is right for you! Dry, oily, aging, uneven, sensitive and acneic skin conditions and eye concerns can all be addressed with a customized Tulasa facial treatment. After a thorough consultation, your skin therapist will provide the best combination of products, personalized Aveda aromas and techniques and design a customized treatment that will move your skin toward balance and reveal it's natural beauty. The Dual Exfoliation Peel is Aveda's latest advancement in non-invasive, skin renewing treatments. Using innovative techniques, this treatment combines Aveda's naturally derived mechanical and biochemical exfoliation methods into one powerful service that transforms and rejuvenates the skin through the process of dual exfoliation. The treatment delivers immediate, visible results in improved skin texture, clarity and radiance; smoothed appearance of fine lines and wrinkles; refined powers, revealing fresher, younger-looking skin. In a clinical study, the Dual Exfoliation Peel achieved better results than a combined microdermabrasion / 30% glycolic peel treatment in both immediate smoothness and radiance, plus significantly better results in smoothness. radiance and skin tone week later. 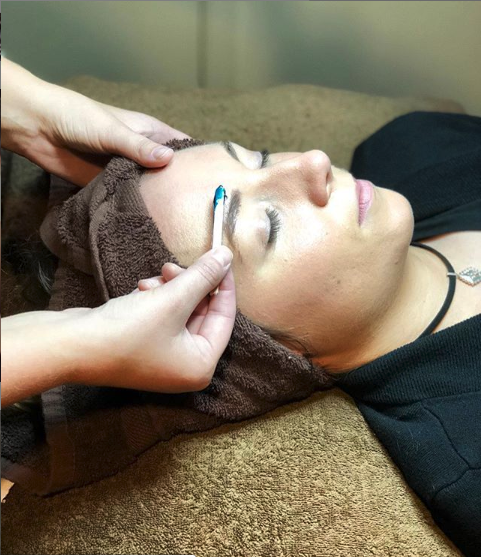 Go beyond microdermabrasion, and energize your skin with a professional facial treatment that helps smooth skin texture and reduce the appearance of fine lines and pore size while significantly increasing radiance - all with less redness and irritation than a microderm abrasion procedure. Advancing the science of chemical peels, this professional facial treatment helps retexturize skin, smooth lines and wrinkles, even skin tone, refine pores and restore radiance. Safe for acneic skin conditions, the Perfecting Plant Peel can be performed as a standalone treatment or added to any other facial treatment anytime skin needs the exfoliation and radiance benefits of a 30% glycolic peel procedure with less of the associated redness and irritation. A series of four treatments is recommended. Purchase a series of three and get the fourth free. An exfoliating treatment that provides an alternative to chemical peels or microderm abrasion treatments. Dermaplaning is recommended to treat dry, rough skin, uneven skin tone, large pores, fine lines and unwanted facial hair. The immediate result is smooth, soft and brighter skin. This service is not recommended for those that suffer from acne. You deserve to be pampered and refreshed from time to time. Take a day for yourself to relax with Entourage Salon & Spa's massage services. We offer a variety of massage therapies including stress relief, hydrotherm, hot stone, reiki, chakra, and prenatal massages. Treat your body to relaxation and rejuvenation at Sheboygan's Entourage Salon & Spa! A 15 minute massage. Excellent for unwinding tight neck and shoulder muscles at the end of a long day. 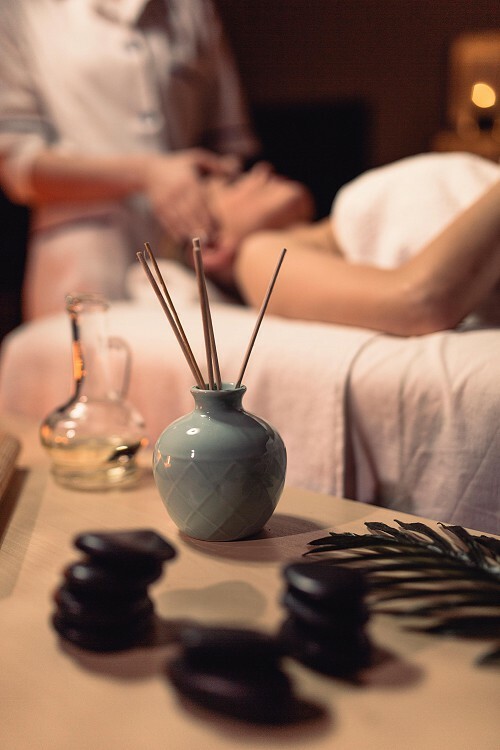 Relax, renew and awaken during this personalized massage based on the Aveda philosophy and your favorite Aveda aromas. Depending on your needs, a variety of calming massage techniques will be used. Reflexology is an ancient technique used to promote relaxation and circulation throughout the body. Applied to the hands and feet, reflexology affects every part of the body through the nerves. Great for hand or foot pain, but balances entire body. Can combine with massage. A massage that helps to balance Chakras. Combines deep tissue massage on the back area, chakra reflexology on the feet, and chakra visualization techniques with a focus on harmonizing each of the seven energy chakra centers of the body. Clinically proven to relieve feelings of stress, this service combines the power of Swedish and deep tissue massage, acupressure, foot reflexology and our new stress-fix aroma. Using warm, smooth stones to massage back and neck. Blends massaging with hands and stones. Stones on back and neck only in add-on. Stones not used on entire body like the 90 minute full stone massage. In today's rushed, 24/7 modern world, our bodies are often pushed to the limit. Therefore, you owe it to yourself to relax with Entourage Salon & Spa's body treatment services. Choose from one of our rosemary mint awakening body wraps, aqua polish treatments, and sunless bronzing body treatments. Treat your body to relaxation and rejuvenation at Sheboygan's Entourage Salon & Spa! Renew body and mind with this stimulating and nurturing wrap. Your body is exfoliated, smoothed, softened and wrapped. A full-body exfoliation and refinement of your skin using the therapeutic benefits of marine elements such as Dead Sea salts along with skin conditioning oils. The result is conditioned, soft polished skin. Five hot stones are incorporated into your Body Treatment. Deep, penetrating heat melts away stress and tension. Focused on one specific body area the hot, aromatic stones deliver an intense and sedating experience. Duplicate that perfect summer tan without sun or UV damage. This service only requires 15 minutes of your time. Cheap nails aren't good, and good nails aren't cheap! Entourage Salon & Spa offers expert nail services at an affordable rate in a completely relaxing atmosphere. Come see the experts and leave with bold, fashionable nails that will endure longer and shine just as bright as you! Includes shaping and buffing of the nails, cuticle treatment and exfoliation, followed by a relaxing aromatherapy hand massage. Select your favorite nail polish, or have your nails buffed to a healthy shine. For the guest pressed for time. Great service to add on while color processing. This service shapes nails, cleans cuticles, filing and polished with favorite polish color. Rediscover balance with this new rejuvenating pedicure. This service includes nail shaping, buffing of the nails and feet, a custom-blended refinement treatment, an Aveda masque and a soothing aromatherapy foot massage. Aveda's signature "Shampure" aroma bouquet of 25 flower and plant essences, including certified organic bergamot, lavender, lemon, petitgrain and ylang ylang. Aroma - blend clinically proven to reduce stress used with exfoliating salts, moisturizing masque, and hydrating lotion. Not your typical french with transparent colors. You can add glitters, mylar and gems to make your french manicure truly unique. Six to eight weeks of growth prior to waxing is recommended. We do not offer facial waxing services to guests currently prescribed Retin-A or Accutane.